You are going to Watch Cardfight!! Vanguard G Episode 35 English dubbed online free episodes with HQ / high quality. Stream Anime Cardfight!! Vanguard Episode 198 Online English dub Shin Nitta. After learning from Mikuru that his father was a cardfighter and died while on Vanguard business, Chrono feels lost on what he should do. He tries to talk to Shin about it but decides not to. Sensing Chrono is troubled over something, Shin proposes to have a fight with him as a way to find the answer for himself. Shin shows that despite his appearance, he is a highly skilled fighter as he counters Chrono’s tactics with his Murakumo deck. At the end of this fierce battle, Chrono manages to win on a gamble. 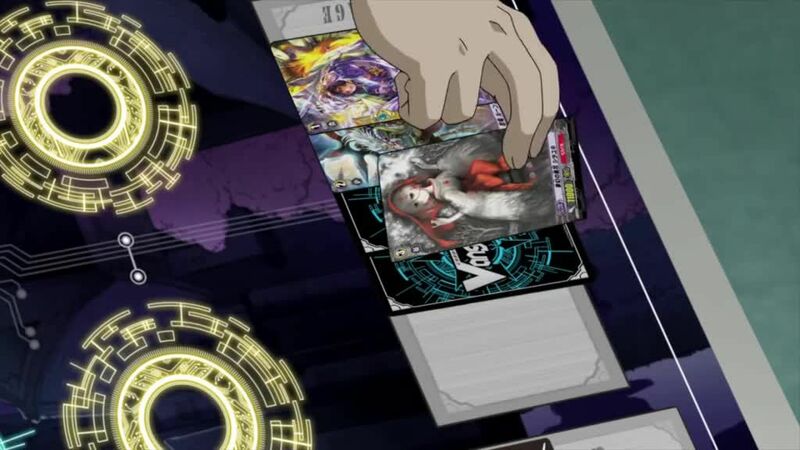 Afterwards, Shin deduces that Chrono was asked by a family member to stop playing Vanguard, and Chrono realizes that he loves the game so much that he cannot quit. So, Chrono eventually confronts Mikuru and tells her his true feelings about Vanguard. Revealed to be acquainted with Shin and hearing from him about how much Vanguard changed Chrono’s life, Mikuru now understands Chrono’s feelings and allows him to continue playing the game.